Dishwasher Debate: Load Knives and Forks Up or Down? For American college student Anna Szentirmai, living with a French family during a study abroad experience required a lot of adjusting. That included adjusting to how they loaded the dishwasher. 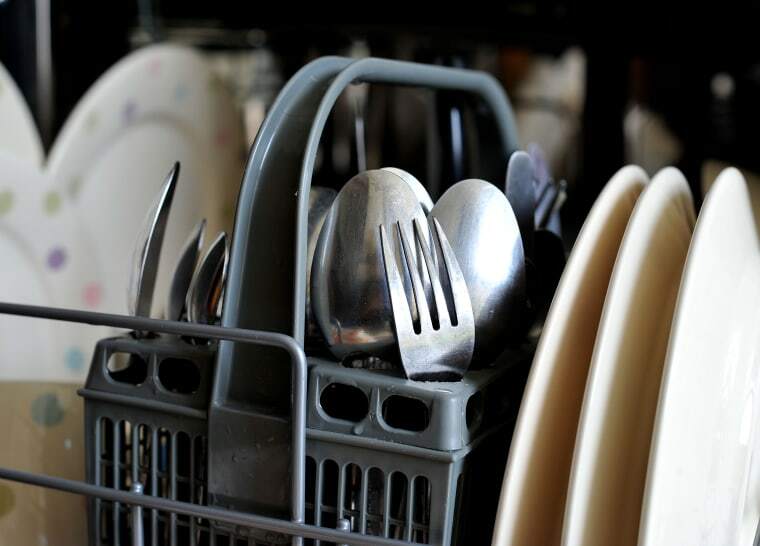 Most people think they know the right way to load silverware into a dishwasher – and are certain the other way is wrong. Some say fork tines and knife blades should point up so the silverware gets cleaner, while the other faction says they should face down to prevent bloody knuckles. Is there any answer to a debate that has long divided, if not France and America, then families, couples and roommates? Yes, and it’s a split decision. Just ask the experts. Almost all dishwasher manuals, manufacturers’ websites and company spokespeople agree on one thing. Load knives with blades down to avoid injury. As the GE appliances website says, handles up and blades down “protect(s) hands.” Representatives of LG and Bosch also told NBC News knife handles should be handles up and blades down to prevent cuts. We asked Emilio Gonzalez, senior test program leader of Consumer Reports, for a final ruling, since his job involves testing all sorts of appliances for safety and performance. Gonzalez says forks and spoons should face up so they’ll be exposed to more water pressure, and thus get cleaner. He also encourages consumers to use the slots of utensil racks and baskets to prevent “nesting” of utensils, or the tendency of utensils, especially spoons, to stick together. If your dishwasher does not have utensil slots, nesting can be prevented by mixing up the utensil type in each compartment. Every manufacturer contacted by NBC News also recommended alternating utensils to stop nesting. On that point, at least, they could all agree.